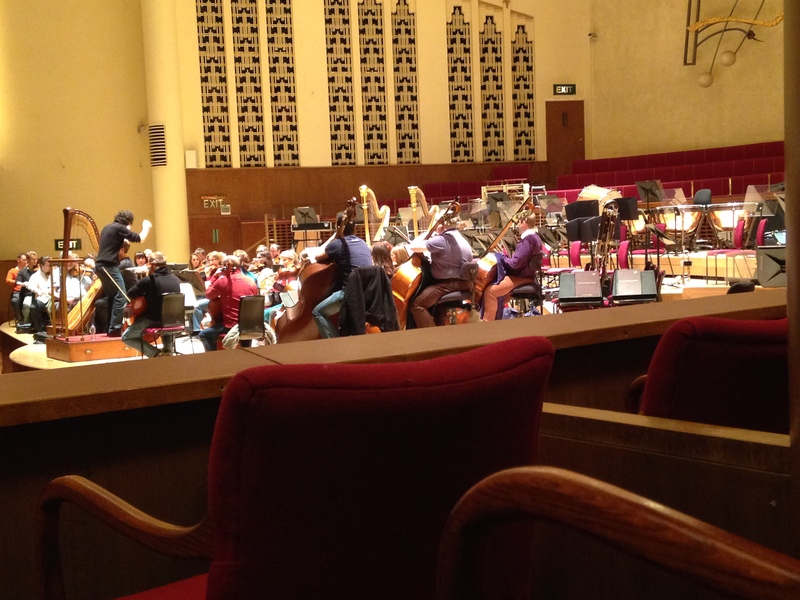 Here’s a shot of yesterday’s RLPO rehearsal with two Frenchmen. 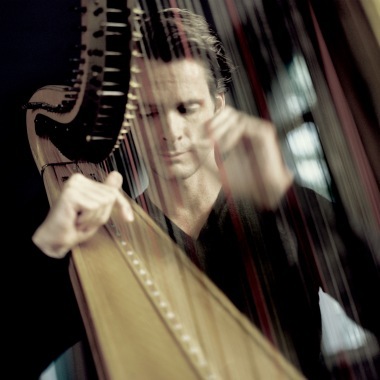 Alexander Bloch conducting and harpist virtuoso extraordinaire, Xavier De Maistre, as our featured celebrity soloist (you will have to squint to see him behind the conductor!). In the first half, Xavier played the Concierto de Aranjuez by Rodrigo. This entry was posted in The Tour Blogs & Brendan's Solo Blogs and tagged 'Concerto', 'RLPO', alborada, alexander, aranjuez, Bloch, carnaval, carnival, concierto, danse, de, debussy, del, deux, gracioso, guitar, Hall, harp, la mer, la valse, liverpool, maistre, philharmonic, ravel, royal, strings, venice, venise, xavier. Bookmark the permalink. I’m not sure what I was expecting – but he was bloody amazing! And I don’t think I’ve ever heard the hall go THAT quiet while a soloist is playing – nary a sweetie was unwrapped nor a splutter unfettered.